BRB LONG LIFE COOLANT when mixed with the appropriate amount of water, is used as a cooling and heat transferring fluid in combustion engines. The heat of the internal combustion is transferred via the fluid to the radiator where the mixture is cooled by means of airflow. BRB Long Life Coolant is an ethylene glycol based fluid that provides maintenance free protection against freezing and boiling but also against corrosion.Extended coolant life, often for the whole life of the engine or vehicle, is obtained through the use of virtually non-depleting corrosion inhibitors. This product is OEM approved by SCANIA and DAF. BRB Long Life Coolant provides long life frost and corrosion protection. To ensure good corrosion protection it is recommended to use at least 33 vol. % of BRB Long Life Coolant in the coolant solution. This provides frost protection to -20°C. Typical mixtures in Northern Europe are 50/50, offering frost protection down to -40°C. Mixtures with more than 70 vol. % BRB Long Life Coolant in water are not recommended. 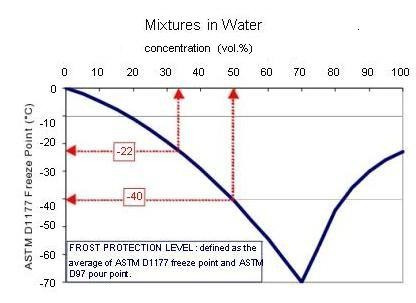 The maximum frost protection (about -69°C) is obtained at 68 vol. %. BRB Long Life Coolant may be used with confidence in engines manufactured from cast iron, aluminium or combinations of the two metals, and in cooling systems made of aluminium or copper alloys. BRB Long Life Coolant is particularly recommended for hi-tech engines, where high temperature aluminium protection is important. BRB Long Life Coolant is compatible with most other coolants based on ethylene glycol. Exclusive use of BRB Long Life Coolant is, however, recommended for optimum corrosion protection and sludge control. Also, the use of soft water is preferred for dilution. Though, lab testing has shown that acceptable corrosion results are still obtained with water of 20°dH, containing up to 500 ppm chlorides and 500 ppm sulfates. Please note that there are too many specifications for this product to list, if you would like the comprehensive list please don’t hesitate to ask us for the complete data sheet.